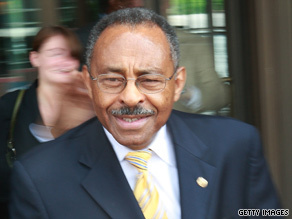 (CNN) -- Sen. Roland Burris will not face state perjury charges in connection with his sworn testimony about an alleged "pay-for-play" scheme to fill the U.S. Senate seat vacated by President Obama, an Illinois state prosecutor said Friday. Sen. Roland Burris, shown at the University of Illinois in May, called the prosecutor's inquiry "thorough and fair." Burris, appointed to the Senate seat just days before Illinois Gov. Rod Blagojevich was impeached and removed from office in January, gave incomplete but truthful answers to questions about his conversations with Blagojevich's representatives, said John Schmidt, the state's attorney in Sangamon County. Burris on Friday said he was "very pleased" by Schmidt's decision, and he could "now put this matter behind me." "His investigation was both thorough and fair, and I am glad that the truth has prevailed," Burris said in a written statement. Schmidt began looking at perjury charges in February amid disclosures that Burris spoke with Blagojevich's brother about possibly raising money for the governor. "It is clear from the conversation that Robert Blagojevich's call was to raise money for Governor Blagojevich and not to discuss the vacant Senate seat," Schmidt said in a letter sent Friday to the speaker of the Illinois House. Schmidt compared Burris' testimony with transcripts of phone calls recorded by federal investigators probing Blagojevich last fall. Those transcripts were made public last month. Burris could not be convicted of perjury, he said. When a state representative asked Burris under oath in January if he had spoken to members of Blagojevich's staff or family about his interest in the Senate seat, Burris responded, "I talked to some friends about my desire to be appointed, yes." "This is a truthful answer," Schmidt said. The questioner could have asked him to be more specific in his response, he said. "While Senator Burris failed to mention the phone conversations with Rob Blagojevich or John Harris, [Rod Blagojevich's former chief of staff,] he did say he spoke to friends about his interest," Schmidt said. "The Illinois Supreme Court has consistently held the burden is on the questioner to pin the witness down as to the specific object of the questioner's inquiry." Burris later filed an affidavit with the committee giving more details about his conversations, Schmidt said. "This matter has now been fully investigated," Burris said Friday. "I cooperated at every phase of the process, and as I have said from the beginning, I have never engaged in any pay-to-play, never perjured myself, and came to this seat in an honest and legal way. Today's announcement confirms all that." The U.S. Senate Ethics Committee, which is also investigating the events leading to his appointment to the seat, has not released any findings. When the wiretap transcripts were released last month by the Illinois legislature, Burris insisted they showed no evidence of corruption in his U.S. Senate appointment. "Did I want to be appointed to the Senate seat? Yes I did. ... Did I try to buy the seat? Never," Burris told reporters last month. Burris added that while he wanted to keep a previous commitment "to make a personal contribution" to Blagojevich, he ultimately did not "because of the perception of impropriety that might arise." During a November 18 conversation, Burris told Robert Blagojevich, "I know I could give him a check" -- then added that he might make the contribution under the name of his attorney, Timothy Wright, " 'cause Tim's not looking for an appointment." Burris then promised that he'd write the check by December 15. Throughout the talk, Burris pressed Blagojevich to tell him how he could help with the campaign without looking like he bought the appointment. "I'm trying to figure out how to deal with this and still be in the consideration for the appointment," he said. "I hear ya. No, I year ya," Robert Blagojevich responded. "And, and if I do that," Burris said, "I guarantee you that that will get out and people [will say], 'Oh, Burris is doing a fundraiser' and then Rod and I both gonna catch hell. ... And if I do get appointed, that means I bought it."